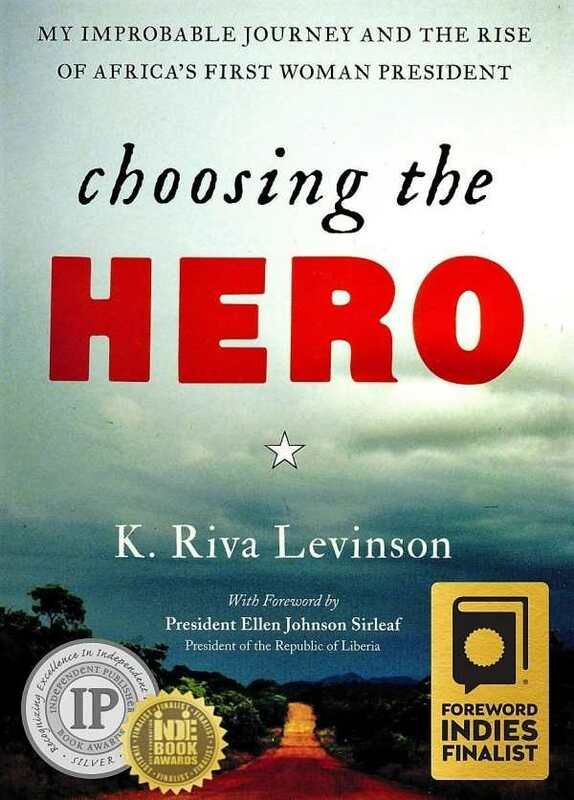 Parts of Choosing the Hero, K. Riva Levinson’s new political memoir, read like a riveting geopolitical thriller, which only makes this true-life story of one woman’s triumph over civil war and corruption more compelling. Levinson’s behind-the-scenes insider accounts of Somalia, Liberia, Angola, Iraq, and other countries illuminate the complexities and pitfalls of international politics, the constant swapping of allegiances, and the tug-of-war between rule of law and chaos, between dictatorship and democracy. Yet in Liberian native and aspiring politician Ellen Johnson Sirleaf, Levinson finds renewal of her own idealism and a greater sense of moral purpose. Sirleaf is unshakable in her support of democratic reforms for her home country and, risking her own life, mounts a presidential campaign to oust duplicitous warlord Charles Taylor. The book documents the unbreakable friendship that forms between the two women in the face of adversity. Sirleaf eventually triumphs, becoming the first democratically elected woman president in all of Africa and later winning a Nobel Peace Prize. Her journey is nothing short of inspiring. If the beginning of Choosing the Hero paints a cynical picture of war and displacement, the end leaves a powerful impression of peace and perseverance, even as Liberia struggles through the devastating Ebola outbreak of 2014. Democratic peace is indeed possible, the book demonstrates. There are still heroes among us.